The Best New Pink Makeup for SpringEight lipsticks, blushes, and highlighters in the most flattering of shades. Here’s a Limited-Edition, Elle Woods–Approved Pink LipstickBy Elizabeth Arden x Reese Witherspoon. Elizabeth Hurley Looks Back on 23 Years of Raising Breast Cancer AwarenessThe longtime face of Estée Lauder has a closet full of pink dresses. Pink Wants to Clarify What She Pulled Out of Her Mouth Before Singing the AnthemThis is the Super Bowl, people. Pink wasn’t chewing gum. The Grammys Will Feature Performances From Pink, Gaga, Gambino, and BroadwayPatti LuPone and Ben Platt will perform at the January 28 ceremony. The 10 Best Concerts of 2017Ariana Grande, Frank Ocean, Pink, Jay-Z, and more. We Need a Feature-Length Version of Pink’s ‘Beautiful Trauma’ VideoThis is art. Stop Trying to Make Pink Versus Christina Aguilera Happen (Again)Twitter swears Pink cringed at Christina’s AMAs Whitney Houston tribute. Pink and Kelly Clarkson Kicked Off AMAs With Emotional ‘Everybody Hurts’ DuetThe powerhouse singers teamed up for the first time to pay tribute to those affected by the year’s tragedies. Pink’s Carpool Karaoke Takes a Detour for Some Upside-Down SingingJames Corden and Pink tested her theory that she sings better upside-down. Pink Looks Back on the Night Christina Aguilera Tried to Punch Her in a Club“I’m an Alpha and she’s an Alpha,” the singer explains. 5 Best New Songs of the Week: Pink, St. Vincent, Kelly Clarkson, and Gucci ManeOf course the poppiest song St. Vincent has ever made is about an overdose. Pink Picks the 5 Best Songs She’s Ever WrittenSpoiler: Pink has a soft spot for her deep cuts. Pink on Lashing Out at Donald Trump, Dr. Luke, and Her New AlbumThe pop veteran on taking on Donald Trump and Dr. Luke, her new album Beautiful Trauma, and a 17-year career of being unapologetically herself. The 2017 VMAs Were Beyond SavingThey exist for no reason beyond the fact that they already exist. Why Pink’s Speech Was the Highlight of the VMAsShe had some wise words for her daughter. Pink Is Back With an Empowering New Song and, Finally, a New AlbumHer first album in five years is out October 13. Why Hot Pink Is the Best Color for Lip BalmThere are other shades beyond millennial pink. Get a First Listen to Christine Ebersole’s Ode to Pink in War PaintOnly Elizabeth Arden could deliver a torch song to a color. 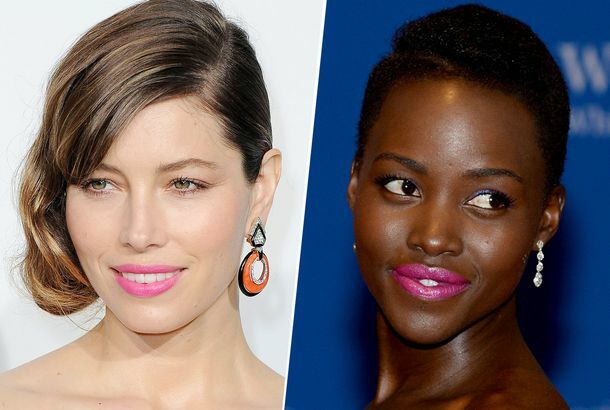 Here’s Why Everyone’s Wearing Pink Lipstick Right NowIt’s not all millennial. 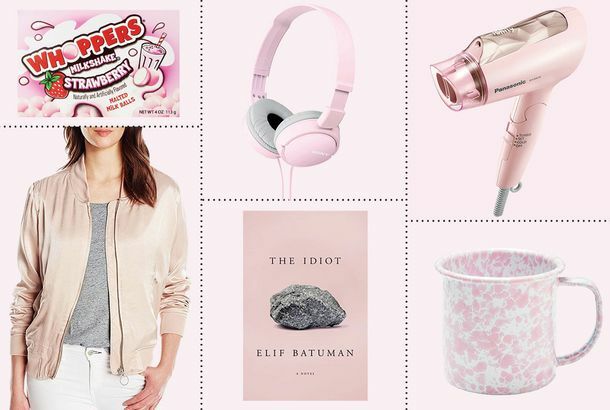 31 Millennial-Pink Things You Can Buy on AmazonSneakers, a toothbrush, a trash can, and a toilet-seat cover in the color that doesn’t seem to be going anywhere. Why Millennial Pink Refuses to Go AwayThe color, found on sneakers, couches, book covers, toasters, and Drake, isn’t fading. Now You Can Buy Millennial-Pink LuggageAway partnered up with pink-loving brand Pop+Suki on a new set of suitcases. Pink Reveals Second Pregnancy With Excellent Instagram PhotoIt’s her second baby with husband Carey Hart. Peonies and Vines Led to This Kitchen With a Very Pink Center“My client told me she wanted a fun, urban tree house,” says Homepolish designer Elizabeth Bomberger. The Worst White-People Dreadlocks of All TimeNone of these were inspiration for Marc Jacobs. How to Wear a Pink SuitThat millennial-friendly color strikes again. J.Crew Has Identified 226 Shades of PinkEven more than there are shades of gray. 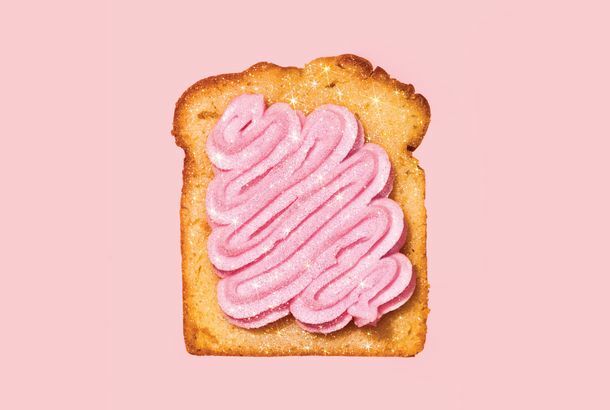 Why Is Millennial Pink Suddenly So Popular?When did not-pink pink get so ubiquitous, and what does it mean? Why Am I So Obsessed With These Miu Miu Slides?They’re pink, they’re fluffy, and they’ve captured my dark goth heart. Pop Stars Release Song for OrlandoProceeds from the song will aid victims and their families with medical care and counseling and will also go towards education. Pink and Her Chill Family Go Madder Than a Hatter for the Sake of DisneyNot for those who suffer from motion sickness. Pink Revealed Her Daughter’s Crush on Matt Damon — Not Cool, Mom For revealing her crush on Matt Damon. Stella McCartney’s All-Pink Capsule CollectionThe color of the season strikes again. Buying Pink Stuff Has Drastically Improved My LifeSherbet cups, licorice allsorts, and more. Treat Yourself Friday: Gentle Monster’s Pretty Pink SunglassesFeminine, but so cool. 16 Pieces of Pink Décor for Under $100 That We Really Think You Should Buy NowAdding a touch of the color is the easiest way to instantly freshen up your apartment. 11 Reasons Why Rose-Gold Is a New ClassicIt’s the shiniest form of pink. The Hater’s Guide to Wearing PinkHow to make Barbie’s favorite color look downright cool.